One of the highlights of my holiday was seeing the ancient Mayan Ruins. It was amazing to see these structures, some in very good condition still standing today. To see what people achieved nearly 1,000 years ago was quite frankly breath-taking. 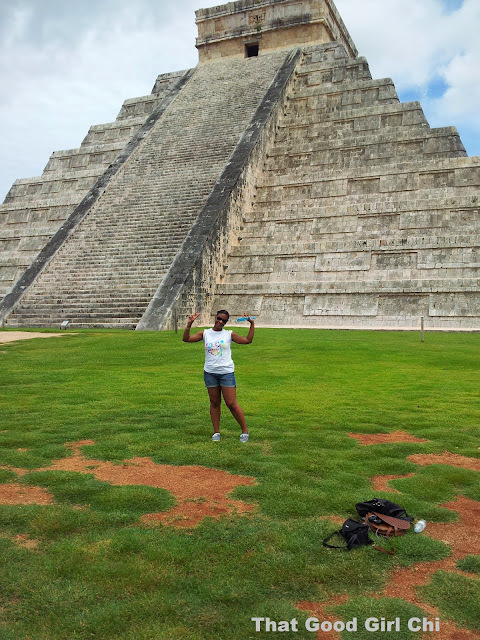 I was so trigger happy….I was taking about 5 snaps of the same building/monuments! There was a time when tourists were allowed to walk up the main pyramid structure; however the Mexican Government banned this in order to preserve the structure as it is a World Heritage Site. I also got to visit a cenote, which is basically a sinkhole filled with water. The Mayan communities apparently used the cenotes around Chichen Itza for rituals (imagine loads of sacrificed bodies at the very bottom!). However the cenote I visited was full of (alive) tourists and fish. I can’t swim, but armed with a life jacket I was determined to go in and enjoy the cooling waters after a spending a long time in the intense sun! No pics, because I was busy splashing about! The excursion to Chichen Itza also included a short tour of a small tequila factory. A 5 minute drive away from Tulum lead me and my friends to a beautiful public beach known as Paradise Beach. The white sands, the blue Caribbean sea…….lush! Coba was a definite highlight for me. A significant part of the Mayan ruins at Coba are still covered by the jungle; however there was a large pyramid structure, even bigger than the structure at Chichen Itza that was partly uncovered. And I got to climb it! 'safety' was a single rope! and this was my view when I looked down from the top of the signature! I will not lie it was more scary going down than coming up! 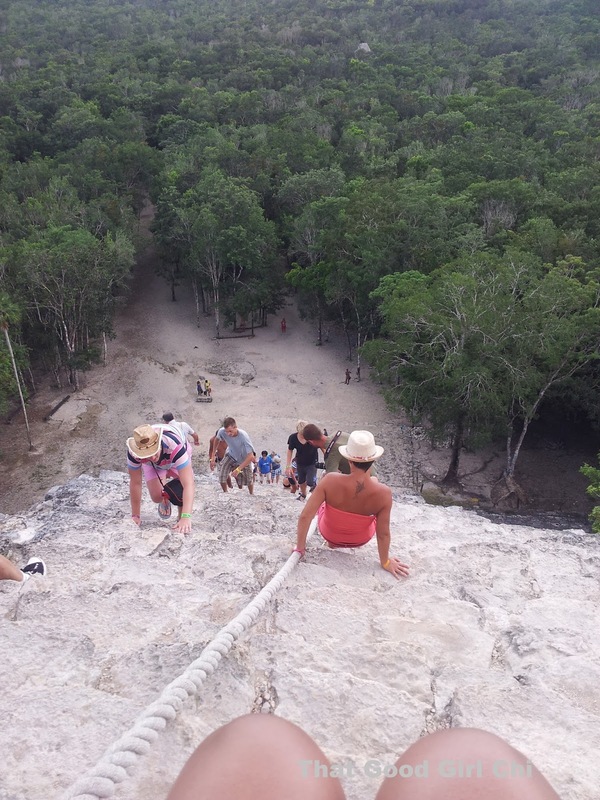 The Government are also making plans to ban tourists from climbing the structure in Coba; this is likely to be effective from next year, so I’m glad I took this opportunity!